It's a five-band lineup, a really big shoooow! S&H is up FIRST, from 6pm to 6:35, SHARP! Good bands up after S&H, culminating with SUNDRUM, a fabulous percussion group featuring S&H member Habu Hiroshi! Big fun for a summer Sunday evening! 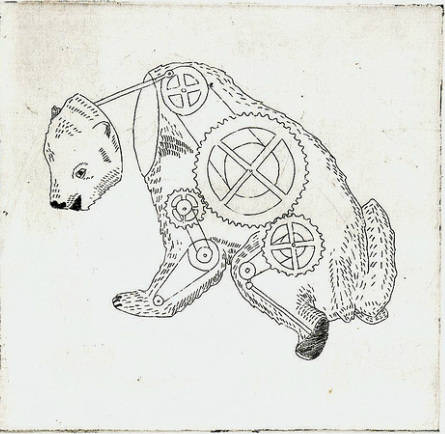 Mechanical Bear is a new trio comprised of Chris Koh (violin), Masahico Shimaji (bass) and Samm Bennett (drums and vocal). Learn more about the band HERE. Other fine acts on the bill that night, as well, at the nicely appointed Last Waltz, just a few minutes walk from Shibuya station.